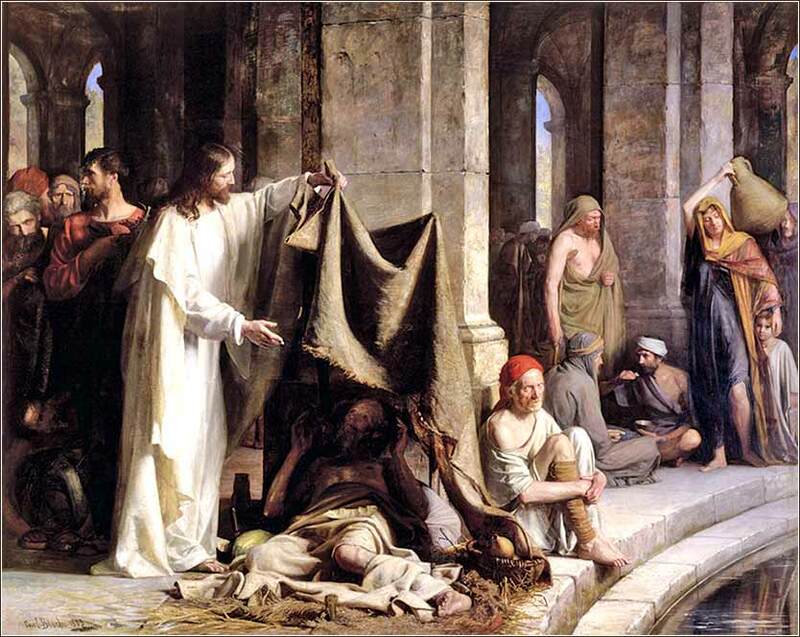 Jesus Heals the Lame Beside the Pool by Carl Bloch, ca. 1870. Jesus spends considerable time in all of the Gospels criticizing the various groups that comprise the religious establishment. But never does any of the evangelists make them look worse, with less effort, than Matthew does in this short passage. Jesus is now healing openly, right in the Temple in front of the Sanhedrin and their lackeys. He is not telling the people he heals to keep it secret. We remember in his early days, during his ministry period, when he would flee crowds and often try to put a damper on his fame. But his hour had not come, then; now, it has. He is “headed for home”, as baseball fans say. The curtain has risen for Act III. The time has come for his sacrifice, and his behavior reflects the hour. So he sets up shop at the Temple and begins to heal the lame and blind. What would one expect the reaction to be? Any human being would say, “What a wonderful thing!” He is taking his time and effort to allow people who cannot see, to see again. His making their bodies whole may be symbolic in part; for he will much more importantly make our souls to live and see with our inner being. But even the outward manifestation of his grace is kind, loving, and wonderful. And what is the reaction of the high priests? They are indignant! It shows just how twisted they have become, how filled with jealousy and pride and vanity. Instead of feeling joy that people with afflictions are freed of them, they are angry at Jesus for displaying the power of God. And not, mind you, because they themselves were going to heal these unfortunates. 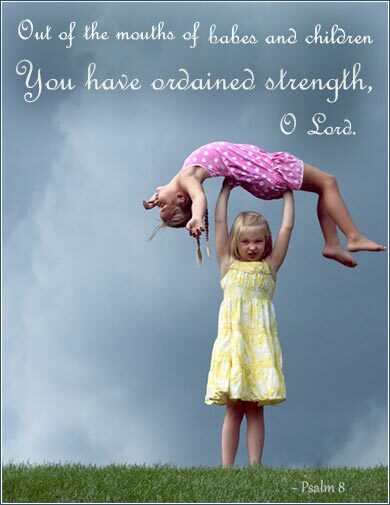 So we see another dimension of Christ's saying, “unless you turn and become like children, you will never enter the kingdom of heaven.” (Matthew 18:1-4) For the reaction of a child, an innocent, is unvarnished praise for such wonderful miracles.